Welcome to Business Gifts Supplier, the UK's quality corporate gifts and engraved promotional products supplier. We serve corporate clients and the general public, with no minimum order and discounts available on orders of two or more of the same product. 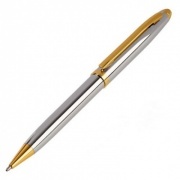 Stylish chrome plated ballpoint pens with gold fittings, supplied with attractive presentation case. 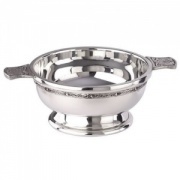 3in diameter Scottish quaich bowl in polished pewter finish, with celtic design decorative band and handles. 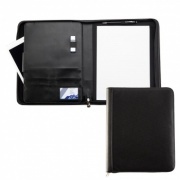 Deluxe A4 zipped conference folder with PU leather cover and internal pocket for tablet or netbook. Classic single photo frame, for 3.5in x 5in photos, with fine quality silver plated finish. Inspire and motivate your sales team, workforce, suppliers or customers with fine quality personalised corporate gifts and unique business gifts. Some say that 'success is its own reward'; we say Nothing Succeeds Like Success Rewarded!. We believe that by recognising and rewarding achievement within your organisation, it helps to generate further success. 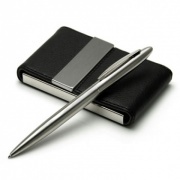 Our select range of silverplated and sterling silver business promotional gifts and personalised executive gifts is perfect for recognition and incentive awards for employees, as sales closing gifts, and as memorable client gifts. Remember, we offer FREE ENGRAVING of text or logos on all orders. We offer low, fixed cost delivery of all for our UK customers. Standard UK delivery is £5.95. Shipping to Europe and North America is available, we recommend customers to contact us for a custom quote for their order and destination. Expedited delivery is available on request. View our full Shipping Prices schedule. We will refund or exchange any gift item bought from the Business Gifts Supplier web site if it is returned in a resaleable condition within 28 days. No quibbles ... guaranteed. See our Terms of Service for full details. We offer single purchase on all products, and small order corporate gifts with discounts when you order just two or more of the same product. We also give loyalty points on all orders, rewarding you every time you return to purchase your branded corporate gifts with no minimum order / no MOQ. When only the best will do, turn to Uppermost for your guarantee of quality. 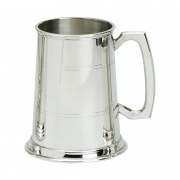 This Business-Gifts-Supplier.co.uk website is owned and operated by Uppermost Business Gifts Ltd., one of the UK's foremost suppliers and engravers of executive corporate gifts, trophies, awards and promotional products. We are 5 Star members of PROMOTA, the UK's Promotional Merchandise Trade Association, and are committed to the Code of Conduct (CSR) of the European Promotional Products Association (EPPA). 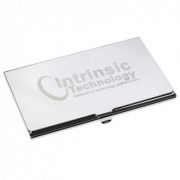 Make a professional impression with engraved silver plated business card cases or business card holders. 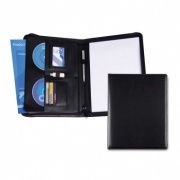 We offer a wide selection of pocket card cases and pocket notebooks, including card cases suitable for credit cards, all ideal for engraving with your corporate or brand logo or company name. You never get a second chance to make a first impression, so make sure you you give a professional and co-ordinated impression every time you present your calling card. Our custom engraved business card holders and cases can help give your business card presentation a professional boost. Make sure your cards are always in pristine condition - our silver plated, metal pocket card cases ensure no creases, folds, tears or smudged print.